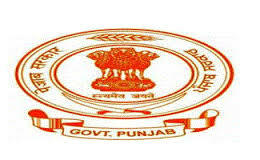 Punjab Police Recruitment 2016: Punjab Police Recruitment Board has invites the application from the eligible candidates for the post of SI/Sup Inspector (Sports Persons), Constable (Sports Person), Warder, Warder and other posts. There are nearly 1131 jobs. The aspirants who are seeking the latest govt jobs in Punjab can apply the Punjab Police Sports Quota 2016 recruitment. The applicants who fulfill the eligibility criteria can apply for Punjab Police vacancy 2016. The online application start from 24th Nov 2016 and last date of application on 14th Dec 2016. The candidates must download the Punjab Police notification 2016 before apply the online application form. More information like academic qualification, age limit, selection method, pay scale, how to apply other detail available here. Name of Organization: Punjab Police Recruitment 2016. Post Name: Sup Inspector/Sports Person. Mounted Armed Police/Armed Police Cadre: 01. The candidates must complete 10th/12th/Degree or it's equivalent qualification from a recognized university/institute can eligible to apply for Punjab Police jobs 2016. For more details refer the official notification. Our indrajobinfo.co.in site has attached the link for Punjab Police advertisement 2016. The age limit of the aspirants must not less than 18 years and maximum 28 years as on 1st Jan 2016. The upper age limit will applicable for the candidates as per government norms. The candidates have to pay application fee details given. Note: The Warder post general candidates have to pay the application fee Rs. 400/- and Rs. 100/- for the reserved applicants. The selection of the aspirants in Punjab Police Recruitment 2016 will be based on following criteria. Note: Refer Punjab Police recruitment notification 2016 form more details. Eligible and interested candidates can apply the online mode of application at the official sitepunjabpolicerecruitment.in. The applicants must apply the application form from 24.11.2016 to 14.12.2016. You will redirect to the official site. Eligible candidates can apply for online registration. Fill the application without make any mistakes. Make the payment of application fee through online or off line mode. Lastly submit the application and save it. Note: If you pay the application fee through offline mode, then you can generate the Challan from official site. Opening date of application: 24-11-2016. Closing date of online application: 14-12-2016. Online application start date: 08th Nov 2016. Online registration last date: 28th Nov 2016. End date for payment of application fee: 30th Nov 2016. Apply the Punjab Police Sub Inspector Online Application Form 2016. Punjab Police Warder Online Registration 2016. Click to Apply for Punjab Police Constable Online Application 2016.